Who remembers singing rounds? I had forgotten all about that form of choral singing until I attended a Girl Scout Alumni Reunion the weekend before last. We sang many familiar campfire songs from my childhood. Skits were well done by some of the youth troops. They told stories about the G.S. 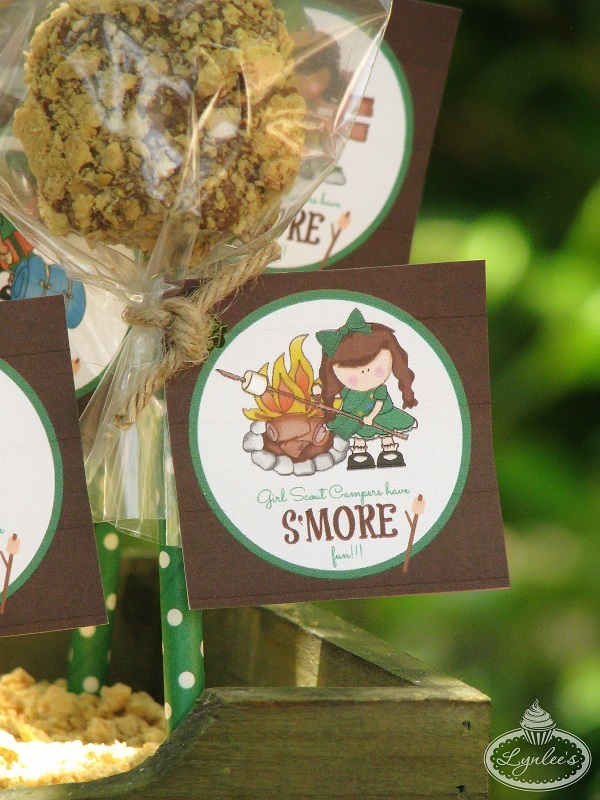 founder Juliette Gordon Low and the history of the organization and cookie sales. 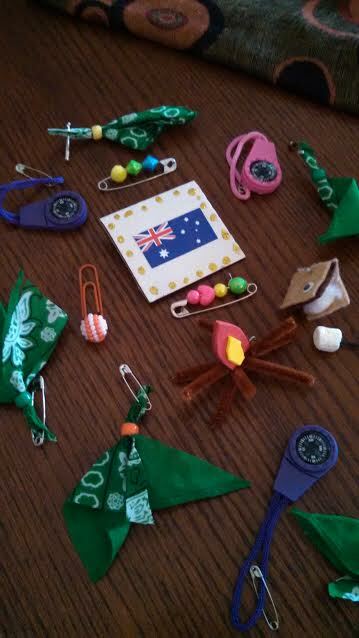 I took SWAPS to trade with new friends who have found the same kind of meaningful connections through the Girl Scouts that I did many decades ago. 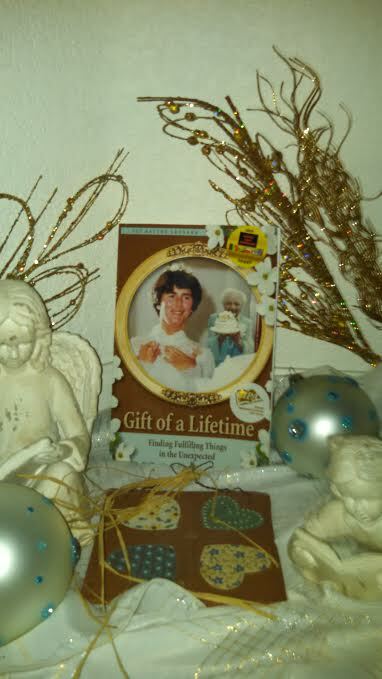 If you have read my memoir, Gift of a Lifetime: Finding Fulfilling Things in the Unexpected, you probably already know from my chapter about the Girl Scouts what I took to trade with others. I’d like to share a few pictures of the SWAPS I received from new acquaintances I acquired over the course of the evening. Each troop had their own swaps that they created to give to others. The swaps below were made by Sharon, a friend who is a beautician and hair stylist. She is an Alumni who enjoyed being a member of the youth organization during the same era as me. 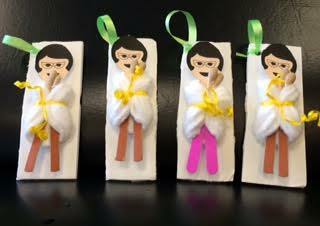 She made these swaps from emery boards, gauze and a little ribbon. The paper doll heads were made from clip art. Very creative and the girls who were lucky enough to receive them were so excited! The s’mores we ate around the campfire were gooey and yummy. I left the event singing a little ditty that baby boomers will remember if you were a member of the Girl Scouts. I’ve got something in my pocket, it belongs across my face. I keep it very close at hand, in a most convenient place. A little trivia: The Brownie Smile Song was written by Harriet F. Heywood of Gloucester, MA in the late 1920’s when she was working as a Brownie Girl Scout troop leader. See you tomorrow on All Things Fulfilling. If you have an Eagle Eye, you will see something in tomorrow’s blog that you’ve seen in some of my blogs and in my writings. I was pleased when I saw them hanging on the walls unexpectedly in an art space in Breckenridge Colorado when I recently visited. Guess where I am going? To a Girl Scout Alumni Bonfire! Campfire Songs, skits, s’mores and an evening of remembering days of a being a member of a 100+ year old youth organization is planned in Routt County, Colorado. I immediately sent my RSVP to the affirmative. Yes! I don’t want to miss it! The event will surely spark memories of my youth. I live in a resort community of people who have moved here from places all over America and from different countries, so the evening will be interesting. We can compare what it was like to be a Girl Scout (there are six levels: a Daisy, a Brownie, a Junior, a Cadette or Senior or Ambassador Girl Scout) in different hometowns across the globe. The experiences each girl had throughout her years as a member, I am sure, were varied. I reminisce about those wonderful days of being a Girl Scout in my memoir Gift of a Lifetime: Finding Fulfilling Things in the Unexpected. Chapter 28 – Paper Roses is one of my favorites. After the event is over, I’ll let you know how it went. I am looking for suggestions of campfire songs. If you were a Girl Scout and remember the names of the songs you used to sing around the bonfire or at Girl Scout camp, please post them as a comment on All Things Fulfilling. I look forward to your input! There is an interesting article in the New Yorker Magazine about the connection between reading and happiness. Researchers say when we read that there is a neurological process that takes place in our brain that transports us away from our everyday life to feeling as if we are in the place in the story, right along with the characters. I had to laugh when I read that quote because I am currently reading a novel called Palisades Park by Alan Brennert. Through the story I have been transported to the famed amusement park in New Jersey and I have been eating hotdogs with mustard and sugary cotton candy in my imagination from the Midway. My mind has been spinning in circles as I’ve imagined the Cyclone roller coaster and the tilt-a-whirl and all the other rides. Every bit of the book has heightened my senses, as it’s stirred nostalgic memories of my youthful visits to the amusement park at Hershey Pennsylvania and Gwynn Oak Park in Baltimore. 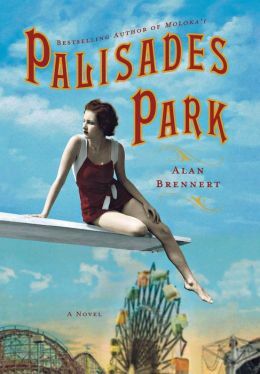 Brennert’s book has done well in taking me to Palisades Park during the height of it’s popularity, in the 1930s. He has helped me understand the value of such entertainment in uplifting the American spirit during war times. All four of my senses have been fulfilled through his rich descriptive writing of tastes, sounds, smells and site of the historical times and events in his novel. You’ll hear the cacophony of calliope and shrieks. A sensational nostalgic summertime read! Highly recommended. 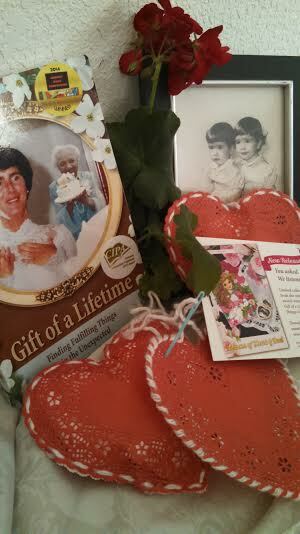 If you are looking for other good reads that will transport you back to another historical time Gift of a Lifetime: Finding Fulfilling Things in the Unexpected and short stories Lessons of Heart & Soul, will remind you of the times when life was much simpler. 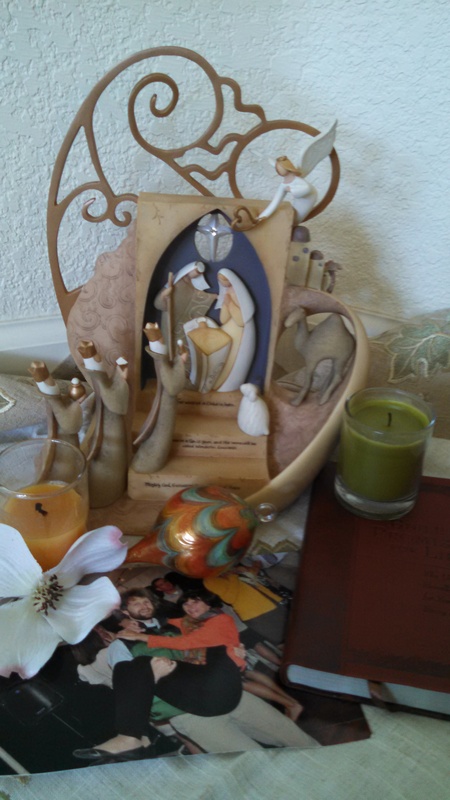 This blog is brought to you by award-winning author Sue Batton Leonard. 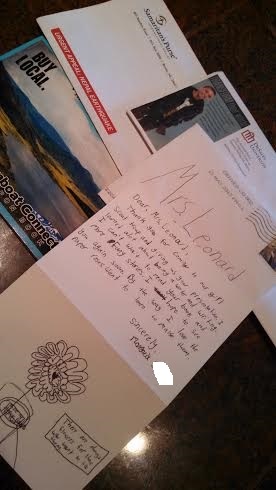 What a pleasant surprise when I opened my mailbox last week and found that the U.S. 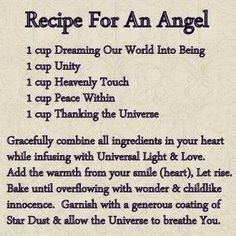 Postal Service had delivered this notecard from you! I am so glad you enjoyed my presentation “One Day in the Life of a Writer.” I was happy to learn that I am not the only one who wakes up in the middle of the night wanting to jump out of bed to write down ideas. It makes me feel better that you said the same thing happens to you. 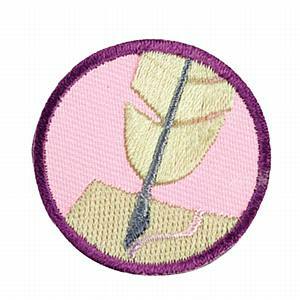 I was not aware that my visit helped your troop earn your Scribe badges until I read the Girl Scout blog. 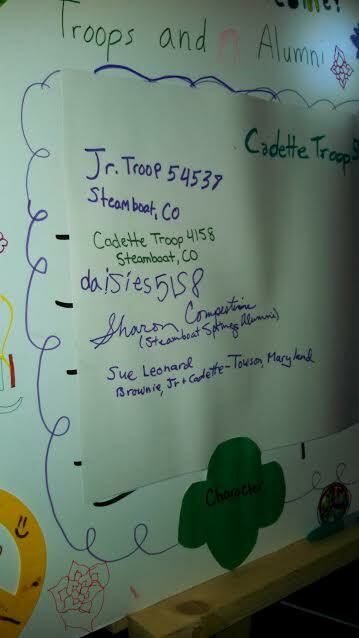 Tomorrow I am attending the Girl Scout Fundraiser for adults at the Catamount Ranch and Club. I am excited! I have my ticket! What a cool fundraising idea to have some of the best chefs around creating savory appetizers from sweet Girl Scout Cookies. It will be interesting to see what the chefs will be serving up. I’d better take my camera! If your mom is coming, tell her I have saved a book for her and will bring it along incase she hasn’t yet ordered a copy. Enjoy your outings, meetings and the friendships you have made through the Girl Scouts. I think I mentioned to your troop that I made life-long friends through scouting. and short stories – Lessons of Heart & Soul.